CLICK HERE FOR MORE BOOKS BY JUDITH HAWKES. Back in the late nineties, younger-me was obsessed with reading every novel about witches I could find. (Don’t get me wrong, I still like witch books, but there are just so many now!) 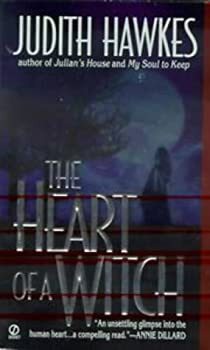 The Heart of a Witch, published in 1999, would have appeared right smack in the middle of this obsession, and yet somehow I never discovered it back then, when I was first devouring Anne Rice’s The Witching Hour and Elizabeth Hand’s Waking the Moon. I found it, instead, at a wonderfully labyrinthine used bookstore just a few weeks ago.